As a start up, you can easily get caught up in essential start up considerations such as creating a business plan, choosing a company name and researching your market or niche. However, if you want to create a successful business with a long-term future, make sure not to neglect your customers. 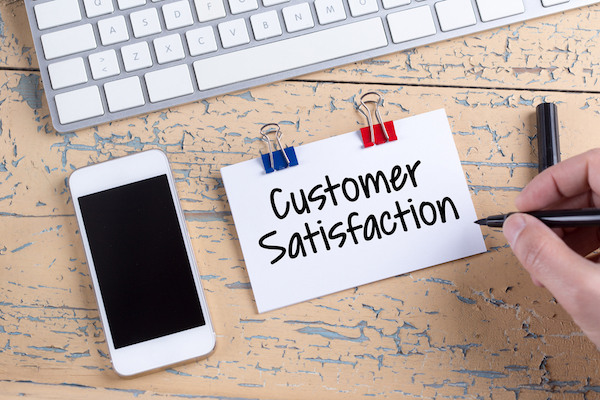 Customer satisfaction comes in a variety of forms, from transparent and reliable step-by-step delivery (with a well known company like TNT Direct), to fantastic customer service, or completing a project on/before the estimated time scale. Just like dissatisfied customers, happy clients love to talk and will spread your company’s reputation through word of mouth. As a start up company, one of your biggest areas of focus will be on building your brand and creating a recognisable image. Providing high levels of customer satisfaction can help here. When you devote your time and combine it with customer satisfaction with loyalty and good word of mouth, this can all add up to form a great public perception of your brand. Bringing in new customers can be very expensive. While you’re likely to have an ongoing marketing strategy, retaining customers will reduce your expenditure and increase your potential profits. Put in the time and effort required to keep your existing customer base through excellent communication, service/products and offers or reward systems. Your marketing strategy can go hand-in-hand with your customer loyalty. Great feedback from clients can be used in your advertising, providing first-hand reviews of your company that can help you reel in new customer/client bases. So ensure that your customers are happy and put their good reviews to use, whether from products, on social media, or review sites. When you think of some of the world’s biggest leading brands, there tends to be a key theme: customer satisfaction. These companies are innovative, leaders in their fields, and listen to their clients. Merging these three factors in your start up will give you happy customers and also allow you to keep ahead to the trends, meaning you can stand out amongst your competition.